Buffalo, N.Y., has spent the last seven years developing and polishing its new Green Code. This will be a development strategy based on the city’s comprehensive plan and plan for the future of Buffalo by focusing on four fundamental principles: fix the basics, build on assets, implement smart growth and embrace sustainability. The Green Code will then translate these principles into a land use plan that will be used to guide the city’s physical development over the next 20 years and provide an update to the city’s 60-year-old zoning code. The mayor’s office of strategic planning continues to oversee the development of the Green Code. 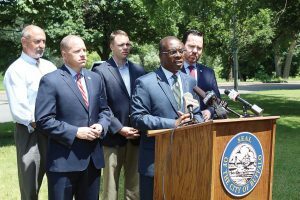 This has included utilizing specific plans for waterfront and brownfield areas as well as creating a single, citywide urban renewal plan for Buffalo’s homestead program. A citizen’s advisory committee and technical advisory committee was also appointed by Mayor Byron W. Brown to ensure that the public’s voice was heard and to provide input on any technical issues. The goal of the Green Code is to consider land use strategies from a plethora of planning initiatives that frame Buffalo’s development and combine it into a code. This framework is based on initiatives that express the community’s perspective of the city’s comprehensive plan. Brownfield opportunity areas present recommendations for both land use and proper zoning after analysis of brownfield areas. These areas are former industrial or commercial sites in which potential environmental contamination may affect its future uses. A local waterfront revitalization program works to propose development projects on both land and water along the coastal areas. New urban renewal plans will allow for the termination of Buffalo’s 30 existing plans. Relevant portions of the existing renewal plans will then be incorporated into a unified development ordinance. Having a citywide urban renewal plan will help identify eligible areas for the city’s homestead program, which allows the sale of cityowned vacant property for one dollar. These three programs will then be combined into the land use plan that can be used as the physical development guide to grow the economy, strengthen the city neighborhoods and repair the environment. The land use plan and all of its individual parts will then form Buffalo’s unified development ordinance. This ordinance is what will replace the city’s previous outdated zoning code and other regulations that control development and present new form-based standards on zoning, subdivision, signs and public realms. The generic environmental impact statement takes all of these facets into account and presents what the cumulative environmental impact will be for Buffalo after adopting the Green Code. In accordance with the state environmental quality review act, this statement includes all components of the Green Code. An opportunity for community members to submit official comments on the Green Code as a whole, or any of its components, is also included as part of a public review. 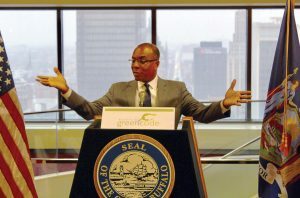 Mayor Brown originally introduced the idea of the Green Code on Earth Day in 2010. It was officially filed with the Buffalo Common Council on Oct. 22, 2015. The draft of the generic environmental impact statement was then accepted by the common council on Feb. 16, 2016. An updated Green Code was released by the mayor and the common council on Sept. 15, 2016. This included the revised urban development ordinance and a public review process, which took 10 months. Hundreds of submitted written comments, 20 public meetings and two public hearings were a part of this extensive process. The latest version of the Green Code was scheduled for review by the common council on Dec. 20, 2016, along with the potential to repeal the existing zoning ordinances. After receiving the documents in October 2015, the common council adopted portions of the Green Code including the unified development ordinance, four brownfield opportunity plans and the land use plan on Dec. 27, 2016. In that time the code went through dozens of revisions with over 240 meetings and 6,500 residents participating. On Jan. 3, a special signing ceremony was held by Mayor Brown and the common council. The unified development ordinance became effective citywide on April 3.